Hi friends! As we head into Summer, I feel more and more compelled to share fun and easy Summer snack treats – like yummy popsicle recipes and even tasty homemade ice cream recipes! Summer not only makes me think of sweet frozen treats but also of campfires and S’MORES. Right?! Now, I won’t be lighting ANY fires outside in sunny Arizona – where we’re already enjoying temperatures of over 100 degrees (I know, but it’s a dry heat). 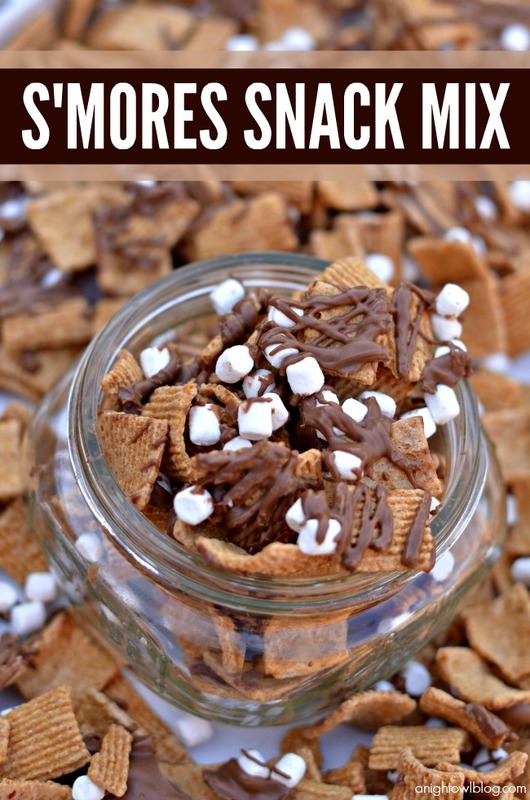 So until we can take a break from the heat I found another way to enjoy a S’mores treat with this EASY S’mores Snack Mix! Seriously easy – and tasty! All you need is a box of Golden Grahams cereal, Kraft Jet Puffed Mallow Bits and Chocolate Wilton Candy Melts. 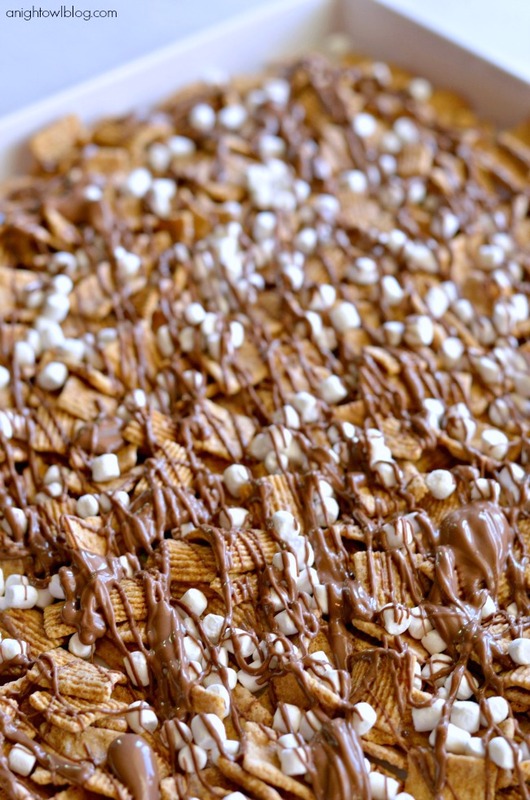 Lay out your Golden Grahams on a tray and sprinkle with Mallow Bits. Meanwhile, heat up your chocolate candy melts according to the directions – I like to do on defrost at 30 second increments – until melted and drizzle-able. Yes, that’s a word. Drizzle that yummy chocolate goodness over the grahams and mallow bits. Then try your hardest to let the chocolate cool and harden. It’s going to be tough. 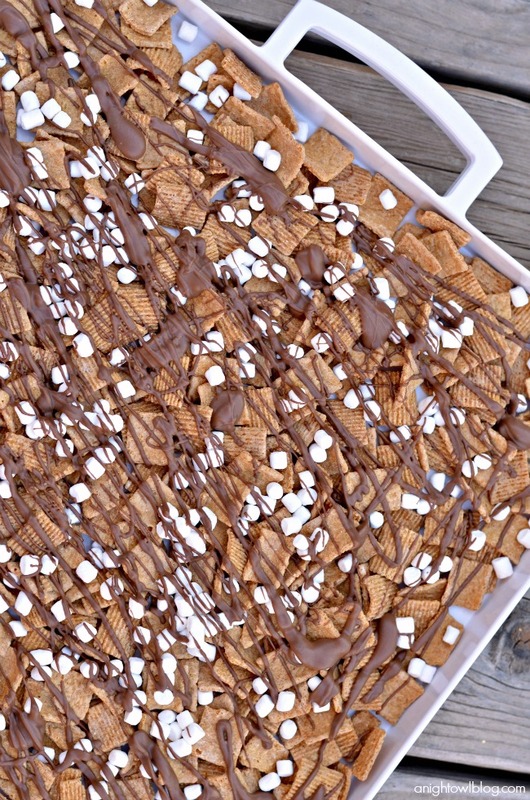 I mean, when you see the graham, marshmallow and chocolate goodness, you’re going to want to dive right in. But restrain yourself, because it’s going to get messy. Hah! 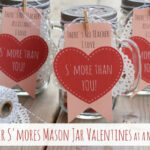 Once the chocolate is hard, you can break up the S’mores Snack Mix, put in baggies or jars and ENJOY! 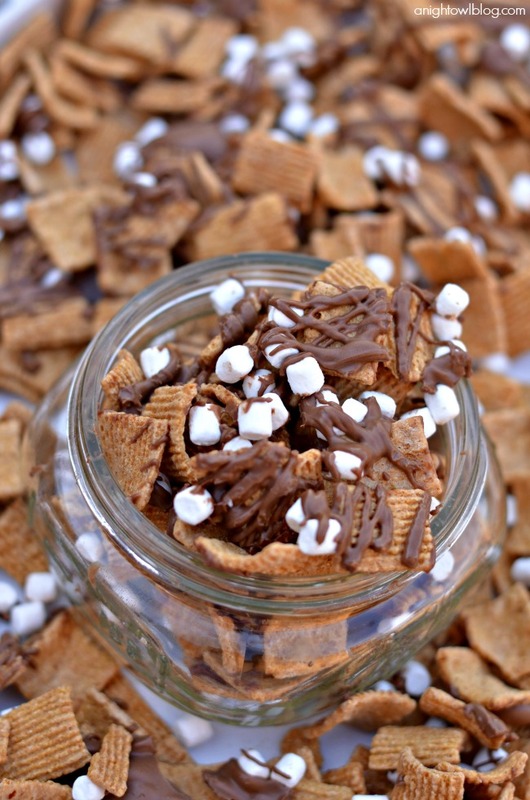 Make this S'mores Snack Mix in just a few easy steps! Spread Golden Grahams on a tray. Melt chocolate candy melts according to directions. Drizzle melted chocolate over grahams and mallow bits. Let cool and harden - serve and enjoy! Yum yum! 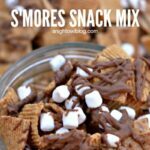 So if you’re like me and live in the desert’s sweltering heat, there is no reason to be denied a s’mores tasty treat – just whip up this S’mores Snack Mix and you’re good to go! This looks so delicious!!! Did you stop doing the insta hop?! Hi Laura – we did! After a couple of years running, it just seemed like time. I’ll still be active and see you on IG though! Yes to summer! And S’mores! And easy snacks. I think I would have to leave the house to not be tempted to try this out before cool and hardened. 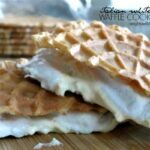 What a yummy and easy snack!! Love me some s’mores!! Thanks for the recipe!! Oh My Heck! This sounds delish! There’s no way to make smore’s healthy, is there? That’s a pretty genius idea though 🙂 good for on-the-go! OMG this looks deeeelicious! What a great idea! I love Golden Grahams – haven’t had them for years. Yum. Same here, Laurel! I had the idea last week and haven’t stopped eating the cereal since, hehe! I think we should have a sleepover. You bring the snacks!!! Yummy. Pinned this baby! It has been so hot here – dry heat or not, I’m not fixin’ to go sit by a fire! 🙂 I love how easy this is – and no fire needed! This looks so awesome for a movie night! I love smores! Oh my…this looks all kinds of yummy! 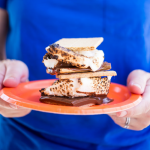 I love that you get all the wonder flavors of a s’more….with none of the mess….thanks for sharing. 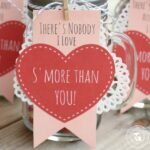 This is so stinkin’ clever using Golden Grahams! Awesome idea, Kimberly.